The Enterprise Management Incentive (EMI) scheme is an employee share option scheme. It is not to be confused with the Enterprise Investment Scheme (EIS) which is a scheme where investors receive tax relief on their investment. There is no tax charge on the exercise of an EMI option providing it was granted at market value. If the company’s share price has increased in value between the time of grant and exercise the uplift is not charged to Income Tax. There will be a Capital Gains Tax (CGT) charge when the employee disposes of his shares and proceeds exceed the market value at the date of the grant of the option. Valuations can be agreed with HMRC. Changes are made by Finance Act 2019 extending the 12 month period for which conditions must be met for Entrepreneurs' Relief to apply to two years. The new two year minimum holding period requirement for EMI options will include the period the option is held; if the option is held for two years this condition is met. Where the business ceased or ceased to be a trading company (or holding company of a trading group) before 29 October 2018, the 12 month period will continue to apply. There is no minimum shareholding requirement in order for shares acquired under an EMI option scheme to qualify for Entrepreneurs' Relief. The normal 12 month minimum holding period requirement for Entrepreneurs' Relief is modified and includes the period the option is held, so if the option was held for one year the 12 month holding period is met. The effect is that EMI share option holders will, if their options are exercised and they are able to dispose of their shares be on the same footing as shareholders who have held shares for a year. Does not set up its EMI within the terms of the legislation. If a disqualifying event occurs and option holders fail to exercise their options within 90 days. The directors need to be aware of the type of events that may disqualify a scheme as they will be able to avoid them if they know what to watch out for. An employee is granted an option to acquire ordinary shares in his employer’s company (or where the employer is a qualifying subsidiary, the options will be issued by the parent). The price of the shares under option is fixed when the options are granted and notified to HM Revenue & Customs (HMRC). If the price paid for the shares on exercise of the option is greater than or equal to the market value of the shares at the time that the option was granted there is no income tax to pay on exercise. This is the key tax advantage of EMI: it means that if the company has increased in value between the time of grant and exercise the uplift is received tax-free by the employee. If the option is set at a discounted price, there will be an income tax charge on exercise based on the difference between the exercise price and market value at the time of grant. If the market value at the time of exercise is less than the market value at grant (i.e. the options are 'underwater'), the tax charge will be based on the market value at excercise. Provided that there are no trading arrangements in place the employee will not suffer National Insurance but will pay any tax due on exercise within normal self-assessment time limits. When options are exercisable under an exit based scheme, the exit agreement will constitute a trading arrangement. This means that if the options were exercised for less than market value at grant tax and National Insurance will apply. 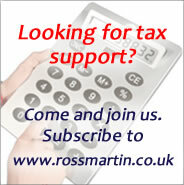 Tax will be deducted under PAYE rather than under Self Assessment. EMI options granted in December 2016 at £nil per share. The share price agreed with HMRC is £100 per share. The company sold in 2019, buyer pays £150 per share. The employee will pay income tax and NICs on £100 per share. If we assume tax rates at 2017/18 levels and that the employee is paying tax at 40%, he will receive net cash of £103 per share (£150 less income tax of 40% and NIC of 2% on £100 and capital gains tax of 10% on £50 - he qualifies for ER). The employer will also pay NICs of £13.80 (13.8% of £100). If we assume tax rates at 2017/18 levels, the employee will receive net cash proceeds of £45 per share (£150 proceeds, less £100 cost, less capital gains tax @ 10% on £50 of £5). A company can be quoted or unquoted. Have only qualifying subsidiaries: a company must hold more than 50% of the ordinary share capital of any companies it acts with; so joint ventures can sometimes be problematic. Have a permanent establishment in the UK: a fixed place of business or an agent concluding contracts on its behalf. Satisfy the qualifying trade test: must exist wholly or mainly for the purposes of carrying on a qualifying trade or be preparing to do so; a qualifying trade is a trade carried on wholly or mainly in the UK on a commercial basis with a view to profit that does not consist to a substantial extent of certain "excluded activities". Excluded activities for EMI are the same as for EIS, see EIS: qualifying trades. Shares subject to the plan must be fully paid-up, non-redeemable ordinary shares in the company; any restrictions attaching to the shares must be notified to participants in the option agreement/or option agreement linked to articles. To be eligible, an employee must work for the relevant company for at least an average of 25 hours per week or, if less, 75% of the employee’s working time and must also sign a declaration to certify this fact for each new grant of options. An employee who controls, directly or indirectly, more than 30% of the ordinary share capital of the company cannot be granted an EMI option. Options must be granted for commercial reasons in order to recruit or retain an employee and not as part of a tax avoidance arrangement. The total market value of shares subject to an unexercised EMI option at any time cannot exceed £250,000 from 2012/13 on (£120,000 for earlier years). Market value is measured at the time of grant for these purposes. If the individual has any unexercised options granted pursuant to an HMRC-approved company share option plan, these count towards the limit. Once the limit is reached, options may not be granted to the individual within 3 years of grant of the last option. Any number of employees may hold EMI options but the total market value of all shares subject to unexercised EMI options granted by the company or group (measured on grant) cannot exceed £3 million at any time. Options must be non-transferable, must be capable of being exercised within 10 years of grant and may not be exercised more than a year after death. Options may be granted at any exercise price or for a nil exercise price. The main terms of the option must be specified in an option agreement. These are scheme terms that are individual to each scheme and not laid down by legislation. They will cover vesting, and ensure that share options will automatically vest on the occurrence of a sale to a third party or listing on the AIM or recognised stock exchange. Vesting may be purposefully delayed: an employee will not be permitted to take up his options until he has completed x number of years of service. Alternatively, there could be other performance conditions included, but the more of these the more complex the drafting. When the underlying shares are subject to restrictions this may affect the tax and NICs payable. Restrictions will also affect share valuation. No Income Tax or National Insurance Contributions (NICs) are payable on the grant of an EMI option provided exercise takes place within 10 years from grant and there has been no disqualifying event. No Income Tax or NIC are payable on exercise if the option was granted with an exercise price greater or at least equal to the market value of the option shares at the time of grant. Any increase in the value of the shares between the date of grant and the date of exercise is not charged to Income Tax irrespective of whether the option was granted at a discount or not conditionally exempt from IHT (usually properties designated of national interest). The Income Tax and the NIC relief are partially lost if an option is not exercised within 90 days (40 days prior to 17 July 2013) of a disqualifying event. Income Tax and NIC are charged on the amount by which the market value of the shares at the date of exercise exceeds the market value immediately before the disqualifying event. The Income Tax charge is limited to the growth in value after the disqualifying event. In the case of a nil cost or discounted option, this charge is an addition to the charge on the discount. The company loses its independence: the company is controlled by another company, or another company and a connected person. The company’s trading activities change to include restricted activities, or it mainly trades abroad. The option holder ceases to be an employee. The employee's working hours reduce to less than 25 hours per week or at least 75% of their working time. Changes are made to the terms of the option. The share capital of the company is altered. The company’s shares are converted. A further grant of share options that takes the option holder over the £250,000 2012/13 on (120,000 in earlier years) limit. Shareholders depart leaving an EMI option holder with more than 30% of the share capital. If another company invests in the EMI company it may fail the independence test as it may fall under the control of another company. Some investors, e.g. private equity, may amend a company's articles so that they contain provisions allowing the investor to take control if financial performance is not up to standard. This again can fail the independence test. The independence test will also be failed if a new holding company is inserted under a share for share exchange. In the case of a ‘qualifying reorganisation’, the acquiring company grants a replacement option within 6 months. A share for share exchange where the shares in the acquiring company mirror those in the EMI company. A number of conditions which the replacement options and reorganisation must met are included in Part 6 ITEPA 2003. On the disposal of the shares acquired under an EMI option, CGT may be payable on any gains made, calculated by deducting the "base cost" of the shares from the net sale proceeds. The "base cost" of the shares is their exercise price and any amount assessed to Income Tax on exercise. Tax is paid at CGT rate on gains after a deduction of the annual exemption and losses, if available. Following changes introduced in the Finance Act 2013 ER applies to EMI share options. Changes are included in Finance Actl 2019 also affect EMI options (see At a glance). The changes make some EMI options considerably more attractive to employees who stand to benefit on a 10% rate of CGT on any gains on the disposal of qualifying shares. The result is that Entrepreneurs Relief is capable of applying to exit based EMI schemes because the qualifying holding period (12 months for disposals prior to 5 April 2019, two years for disposals on or after 6 April 2019, except where a business ceased before 29 October 2018) can be met if the option was granted 12 months (two years from April 2019) prior to the exit date. The 2013 changes were applied retrospectively and there are transitional provisions. There is no minimum shareholding requirement in order for shares acquired under an EMI option scheme to qualify for Entrepreneurs' Relief, so you may hold options/EMI shares than entitle you to less than 5% of voting rights. The normal 12 month minimum holding period requirement for Entrepreneurs' Relief is modified, this will include the period the option is held, for options granted on or after 6 April 2012. ER applies to disposals made after 5 April 2013. The company will receive a Corporation Tax deduction on the exercise of options granted under an EMI plan, provided that certain conditions are met. The relief is given for the accounting period in which the EMI option is exercised on the difference between the market value of the option shares on the date of exercise and the exercise price. It is possible to agree a valuation of a company with HMRC for EMI purposes. This can be done by submitting form VAL231 to HMRCs Share and Assets Valuation (SAV) team. The valuations are valid for 60 days, though, if there have been no significant events, SAV will agree to extend it by 30 days on request. Changes in the share or loan capital. Any arm's length transaction completed or actively contemplated involving shares of the company. Negotiations or preparations for a floatation or takeover. Publication by the company of new financial information. This is designed to show you the main stages in setting up an EMI scheme or plan. Review that the company, its activities and the shares being offered will qualify for EMI. Agree qualifying activities with HMRC, via advanced assurance. Draft up and agree the terms of the option, these should set out vesting conditions, set restrictions etc. Draft up and agree to the scheme rules with the company. Make necessary changes to the Articles. Ensure Board approval of any amendments to articles and pass necessary resolutions. Value the company and agree a valuation with HMRC (this will consider vesting conditions, minority holdings and restrictions applicable to the shares). Pass resolutions to issue shares, adopt new articles and approve the EMI terms. File resolutions amended articles with Companies House. Grant of option (executed as a deed between company and employee). Ensure that the employee signs a declaration to confirm that they meet the working time requirement. Notify HMRC: for options granted from 6 April 2014 use HMRC's PAYE portal (accessed via PAYE online). End of year file your online EMI return on HMRC's online portal as above. Employee to notify HMRC on exercise.